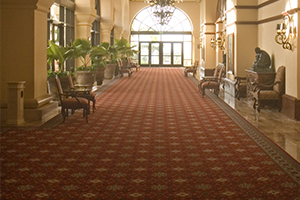 …carpet care should not be entrusted to just any carpet cleaning company. Mold, soot and all varieties of contaminated particles can make your carpets smell unpleasant, set off your allergies, and in some cases, even lead to illness. If your property is in Westchester County, Yonkers or the NYC area and has been affected by water, fire, smoke, or other damage, you need to have the carpet and overall indoor environment assessed, tested and treated by Hi-Tech expert technicians. Carpet deodorization means more than eliminating or camouflaging surface smells regardless of what caused them. It’s about finding and eradicating what’s causing the problem and, most importantly, making your carpets look and smell like new. We can be there resolving your problem in a jiffy. We’re available 24/7. Hi-Tech’s skilled can quickly assess your situation, just hours after your property has been hit by fire, flood, or other disaster, testing air and surfaces to detect contaminated particles or gases. Then we immediately begin the process of making your carpets look and smell like new, removing the soot, mildew or any other properties causing unpleasant smells, allergens, mold and more. When you call Hi-Tech Cleaning Services for a free estimate, you’re putting your trust in a respected firm with almost 20 years of carpet cleaning and restoration experience for property management firms like Brown Harris Stevens, Cooper Square Realty, Douglas Elliman/Prudential Management, Garthchester Management, Gumley Haft Klier, Orsid Realty and The Rudd Group, as well as hotels, country clubs and many high-end retailers. In addition to full-service floor maintenance, we’re certified by the Institute of Inspection, Cleaning and Restoration Certification (IICRC), specializing in fire and flood restoration. Our leadership team has decades of experience in high-end property management, carpet cleaning and restoration, and many types of emergency cleanup/restoration projects following fires, floods, mudslides and more natural disasters. Based in New York, we also serve clients in all 50 states, Puerto Rico and the Virgin Islands. Contact us online 24/7 or call (914) 423-4600 to learn more about our emergency carpet care, specialty cleaning, and stone and tile restoration in Westchester County, Yonkers and the NYC Area.